The Samajwadi Party (SP) and the Bahujan Samaj Party (BSP) have agreed to an alliance in Uttar Pradesh ahead for the Lok Sabha Elections 2019, an SP leader was quoted as saying in a report on Saturday. 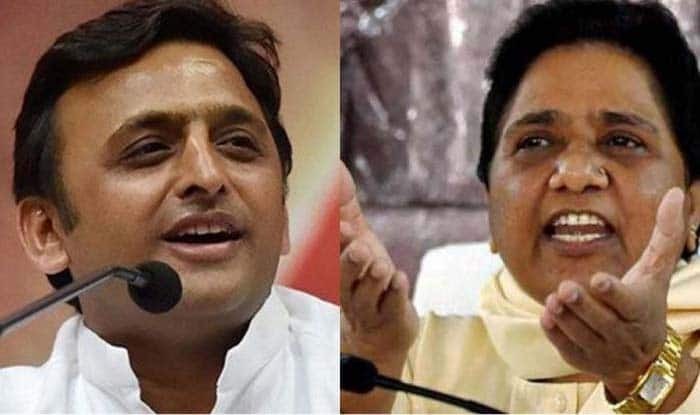 New Delhi: The Samajwadi Party (SP) and the Bahujan Samaj Party (BSP) have agreed to an alliance in Uttar Pradesh for the Lok Sabha Elections 2019, an SP leader was quoted as saying in a report on Saturday. He added that in-principle approval for the ‘gathbandhan’ was given by SP chief Akhilesh Yadav and BSP supremo Mayawati. Earlier on Friday, media reports had claimed that both the parties have reportedly decided on an equal seat-sharing formula in the crucial state. The SP-BSP would field candidates from 37 seats each, leaving just six seats for the other players of the alliance, including the Congress. Out of the six remaining seats, the BSP and SP are offering the Congress only Rae Bareli and Amethi seats, reports said. Furthermore, two seats are likely to go to Rashtriya Lok Dal (RLD). While party chief Ajit Singh is likely to contest from Baghpat, his son Jayant Choudhary may fight elections from Mathura. If the seat-sharing reports turn out to be true then it will be a major setback for the Congress, which is “optimistic” of a grand alliance in the state for the 2019 Lok Sabha polls. A few days back, Uttar Pradesh Congress chief Raj Babbar told PTI that the people wanted the Opposition to contest the general elections in Uttar Pradesh together. This is not the first time that the news of SP-BSP reaching a seat-sharing deal in Uttar Pradesh for Lok Sabha polls have emerged. Earlier in December last year, sources told Zee News that both the parties have agreed on an equal share in seats for the general elections 2019, adding that the Congress would not be a part of the ‘gathbandhan’. However, the same were later dismissed by the BSP. “Reports that seat sharing is finalised in UP are fake. Whenever it will be finalised we will come out through media,” Senior BSP leader SC Mishra had said while speaking to ANI.